Earlier this month, OnePlus announced that it would be unveiling its own Android ROM after a falling out with lead Android fork maker Cyanogen. 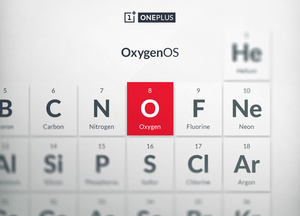 On February 12th, the company will reveal more about the custom operating system, which will be released only for OnePlus One and OnePlus Two devices. Codenamed 'OxygenOS,' the operating system is "open, customizable, and free of bloat and unnecessary features." "We've spent a lot of time thinking about what this ROM means to us and our fans. We realized that, like everything we do, our true goal is to make the product that we ourselves would want to use--to make great technology more accessible for everyone," OnePlus added in a statement. Since its falling out with Cyanogen, which provided the CyanogenMod operating system, OnePlus has been using stock Android for its devices. This is gonna hurt business FOR SURE!!!!!!!!!!!!!!! Huh, what? Who's business, how and why? It'll likely help One+, getting closer to their hardware, but really I don't see it hurting anybody. CM's over-rated anyways. Nice for a simple all-in-one, rooted, AOSP mod. But not so much if you're really going to customize it yourself and get deeply involved with it. But there is no doubt they're a talented dev team.